Neil Young opened up his second long-player Everybody Knows This Is Nowhere (1969) with this concise, yet hard driving love song. It also effectively began his relationship with the backing combo Crazy Horse. Musically the track is an uncomplicated three-chord rocker and shows off Young’s infamous one-note solo motif during the instrumental ‘middle eight’ bars between the chorus and verse. 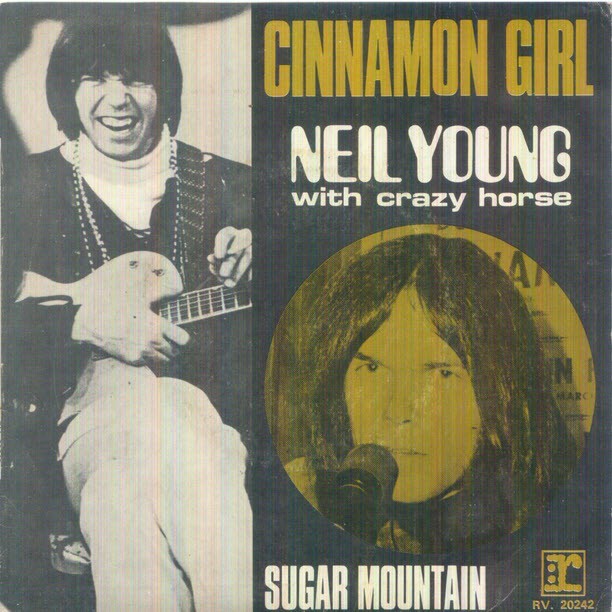 ..
“Cinnamon Girl” is a song by Neil Young. It debuted on the 1969 album Everybody Knows This Is Nowhere, which was also Young’s first album with backing band Crazy Horse. Released as a single the following year, it reached #55 on the Billboard Hot 100 in 1970. 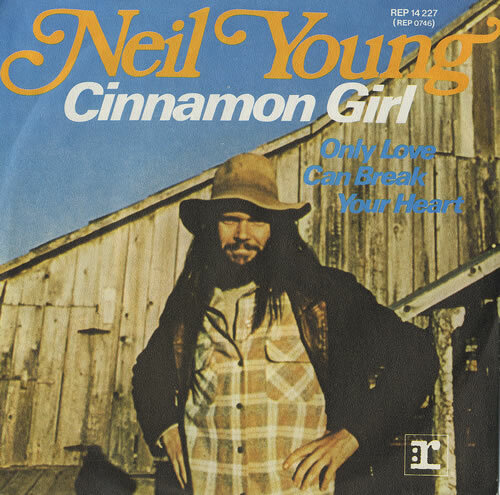 Like two other songs from Everybody Knows This Is Nowhere, “Cowgirl in the Sand” and “Down by the River,” Young wrote “Cinnamon Girl” while he was suffering from the flu with a high fever at his home in Topanga, California. This song displays the very prominent role played by Danny Whitten in the sound of Young’s early recordings. The vocals are a duet, with Whitten singing the high harmony against Young’s low harmony. (The 45 rpm single mix of the song, in addition to being in mono and cutting off the guitar outro, features Whitten’s vocal more prominently than the album version.) Young performed the song on his then-recently acquired Gibson Les Paul, “Old Black”.